Let us install your solar geyser and start saving today. Ring Main Geyser Systems. One Geyser, Many Users With Secondary Pump To Circulate Hot Water. Any Make Of Geyser From 3 Year Warranty, 5 Tear Warranty, 7 Year Warranty And 10 Year Warrenty. We Only Install Brass Pumps, Never Plastic For A Long Life Span. 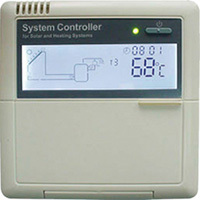 We Use Intelligent Controllers Which Guarantee Hot Water Every Day. 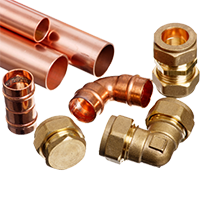 All Our Piping and fittings are Copper. We Use The Correct Grade Of Solar Insulation. We Guarantee Our Workmanship And Are PIRB registered. Split system solar geysers are the most common method of installing a solar geyser. With split system we install the geyser inside the ceiling void and the solar collector (solar panel) is installed on top of the roof. 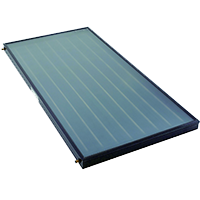 The glass solar collector looks modern and visually appealing on a roof. When we install the solar collector flat onto a roof, there is almost no piping visible and the collector looks neat. The pump uses very little electricity but if required, we can install a PV panel and DC pump to run the pump off solar energy. How much electricity does a solar geyser pump rally use? Read below. Advantage : No geyser on the roof looks better. A Thermosyhon Solar Geyser is typically installed with the geyser just above the collector on the roof. There is no pump required and the system works using the natural convection created by warm water rising and the cold water sinking. A cradle is required to mount the system on the roof. Advantage: No pump required. A Retrofit Solar Geyser is an installation where the existing geyser is converted to solar by adding a solar collector. All geysers can be converted to solar.Advantage: Start saving without replacing your existing geyser. There are currently two very popular geyser controllers on the market. The first is the locally manufactured geyserwise controller. The geyserwise controller comes in three flavors. 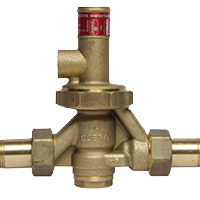 The geyserwise TSE is used for non solar geysers and performs timing functions to save energy by switching off the element during off peak times. 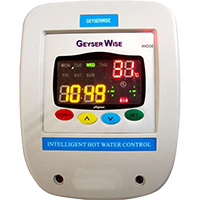 The geyserwise max is the controller used for solar geysers and has inputs for collector temperature and outputs to drive a pump. 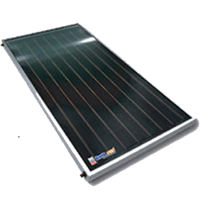 A third geyserwise controller called the geyserwise dual is a specialized controller used where photo voltaic panels are installed. Advantage: The cost effective option. The second popular controller is the SR868 or SR81 controllers The SR81 intelligent geyser controller is the newer model of the SR868. This controller comes with a full manufacturer on site warranty and is a very reliable unit. It is used for solar geysers and has additional functionality included such as two pump outputs. The second pump can be used to pump water around a ring circuit feeding several users. The controller monitors the return temperature and keeps the water in the pipes warm. This can often save on installing additional geysers. Advantage: Manufacturers on site warranty and additional functionality. 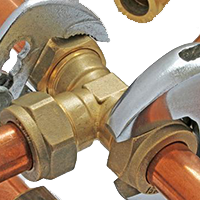 Need a plumbing quote or plumbing advice, Please complete our form and we will call you. Solar thermal flat plate or evacuated tube collectors? 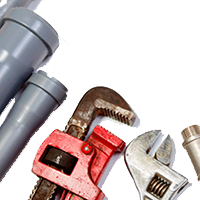 Evacuated tube collectors are superior to flat plate collectors at absorbing heat and work better in less than ideal conditions such as during overcast weather or in cold climates. 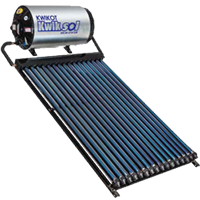 Evacuated tubes can also heat the water up to much higher temperatures than flat plate collectors. Another advantage of evacuated tubes is that they catch the sun from more oblique angles due to the round tubes being the same profile from all angles. Evacuated tubes cost more than flat plate collectors. Flat plate collectors are very simple design and construction and are unlikely to cause problems. As both flat plate collectors and evacuated tube collectors are sized correctly according to the geyser, efficiency is not an issue as they will both heat up the geyser. So which one? We live in a high radiation country with plenty of sun and so flat plate collectors are more popular. The choice is yours. In the case of a burst geyser replacement, all insurance companies in South Africa are now allowing clients the option to take a cash payout to put towards a new solar geyser. The cash payout provides some saving towards the installation of a new solar geyser. 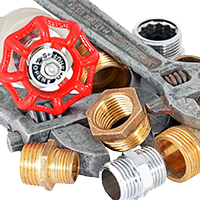 Make sure to ask your insurance company if you can choose to use your own plumbing company and then give us a call. 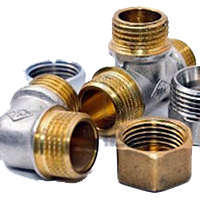 Many insurance companies use small plumbing businesses that do not install solar and therefore you would have to use your own plumber. Not all installations are the same but we normally require one full day to install a solar geyser system using a team of 4 people. Firstly the geyser is installed in the ceiling and the collector is installed on the roof. Then all the piping, fittings, pumps, non returns, valves, insulation and controller take up the rest of the installation time. The most frequently asked question. In advertising we all see random percentages being quoted. 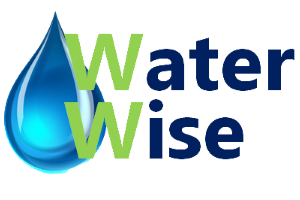 An average saving for a 150L geyser will be R600 per month saving and a 200L geyser approximately R800 per month saving in electricity costs. Of course this depends on usage habits. Also the collectors produce more heat in summer than in winter. The generally accepted payback period on a solar geyser is considered to be 3 years. A big consideration is that electricity prices are always increasing, so by intalling a solar geyser, you are avoiding bigger electricity expenses in the future. Over a 10 year period taking 8% inflation a 150L solar seyser will save you R114749.00 and a 200L solar geyser will save you R152999.00. Of course this saving continues exponentially after the 10 years. Currently all manufacturers honor their geyser warranties if their geysers are installed indoors or outdoors. However like all companies, some manufacturers provide better backup service than others. We will always recommend the geysers from reputable companies. 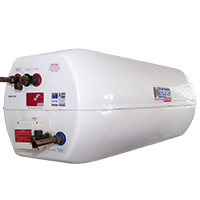 Solar geysers works on the principle of storage of hot water with long periods of no heating. A larger geyser is thus recommended when going solar as the geyser is not heated on demand. 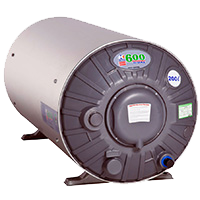 Typically a 150L geyser for 2 persons, 200L for 3 persons and 300L for 4 persons or more. You saving will be proportional to the size of your geyser you install and how much hot water you use. Remember there is nothing wrong with a smaller geyser, as the intelligent geyser controller will ensure that you never have a cold shower. The intelligent geyser controller will use no electricity if there is sufficient sun to ensure that the temperature is above your desired minimum temperature. If the temperature drops below the minimum setting, the element will be switched on just to maintain the minimum temperature until the sun heats up the geyser again. Only as much utility supply is used to ensure you have a hot shower. This typically happens in Cape town winters where there is no sun for days. A solar geyser pump consumes only 10 watts of electricity. 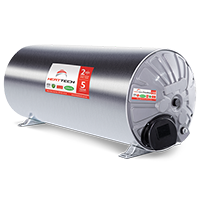 The pump does not run continuously but will run at most 2 hours per day or 20 Wh per day. Over a period of 30 days this amounts to 0.6 kWh. This will cost less than R2 rand per month in electricity. However if you want to be environmentally freindly and run completely utility free. We install a DC solar pump conversion kit which allows the pump to run off a 10 watt solar pv panel.